You are here: Home / Adam in the Media / Hey Now! 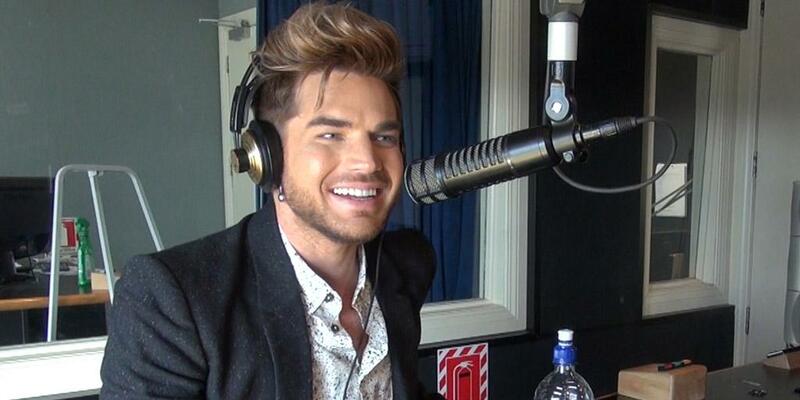 Let’s Check In With Adam Lambert and His Down-Under Promotions! Adam Lambert was recently in Australia and New Zealand to promote The Original High and announce his January 2016 concerts. He made the rounds of several TV and radio stations and gave some great interviews. In addition to talking all the regular topics (you know, filling in for Freddie Mercury, coming in 2nd, being gay, etc.) he also participated in many cute games and stunts. Among them, he held a note for 30 seconds, painted a still-life while on the air and revealed his personal preference on scrunching vs folding. You’ll have to listen for this one! He is so good-natured about accommodating all the zany requests. I can’t even imagine what it’s like to travel such a great distance, be under jet-lag conditions and then be asked to do a crazy stunt. The accents are strong and Adam seems to handle them with ease. Enjoy Adam’s trip down-under! Adam Lambert Answers Fan Questions & Reveals What He Looks For In a Guy! More FM What is Adam Lambert’s Favourite Drink, Possession, Fashion Accessory? **BONUS** Not from Down-Under but a really great 21 minutes from Star 101.3! Hi there Adam Lambert! I am trying to decide if I like your natural color of hair? I kind of like it black. But you are still as good looking as always. And everyone needs a change once in a while! I like some of the album Ghost Town. Some of the songs are a bit dark. But you seem up beat so I won’t worry about it! Still love you! Always will. Take care Babe! Fun times with Adam, what great interviews! There’s a video by iHeart Radio NZ.